The Defender is so tough it can handle environments with extreme temperatures, moisture and high vibration. It is designed to carry currents as low as 350 milliamps and as high as 200 amps. 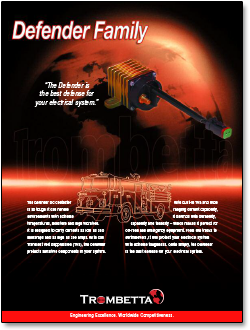 The Defender has only one relay switching point and built in Transient Voltage Suppression (TVS), which protects other sensitive components in your system. 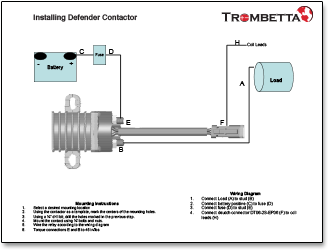 This paragraph is designed to assist you with selecting the correct Defender DC Contactor for your application by defining each digit in the part number. When you roll over each small box in the image below, a pop-up window will open to explain the feature heading and each of the feature options. 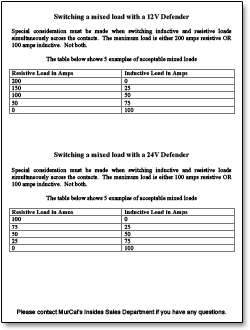 For example, a feature heading may be “Coil Voltage” and the relevant feature options may be “12 Volt” and “24 Volt”. 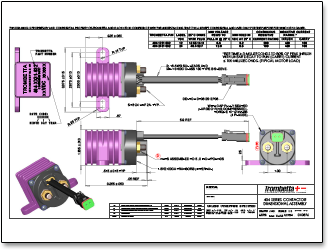 One of our best selling models, the 404-1231-032, would be defined as a (4) Defender DC Contactor, with a coil connection configuration of (0) ungrounded leads / Deutch 2-pin connector DT06-25, and a high current stud of (4) two 5/16-24 studs. 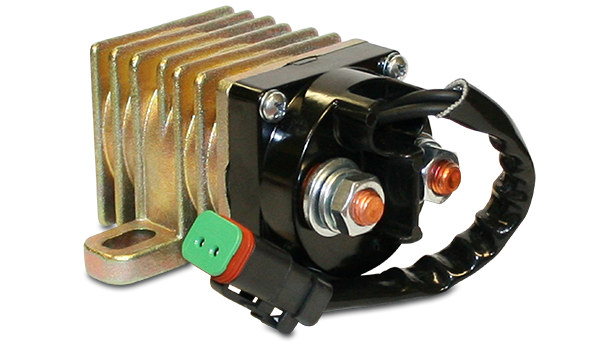 The coil voltage is (12) 12 volts, with a bracket type of (3) investment cast housing with an integral bracket / 90° to studs, and a bracket location of (1) standard location, fixed by housing. The duty cycle is (0) 100% continuous, the contact material is (3) silver, and the sealing is (2) sealed design. 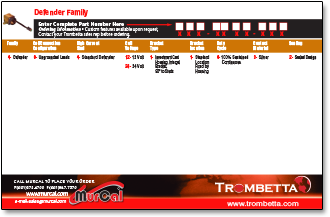 Click here to purchase the Defender DC Contactor Family in the MurCal web store.